Suzi began exploring art in her mid 30’s. She was no stranger to art however as she grew up watching her mom and late brother paint. After the untimely death of her first husband, Doug Zefting, her love of creating art began with a drawing class with G.A. Sheller at the Creative Workshop at the Memorial Art Gallery in Rochester, NY. When Suzi discovered that she had a talent for that she progressed to taking watercolor classes with M. Wendy Gwirtzman and then onto colored pencil with Sari Gaby. 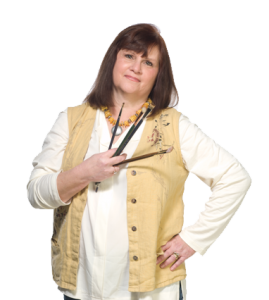 Suzi is inspired everyday by the works of the artists she has come to know and love through her affiliations with local instructors, working artists and the national artists she brings to Rochester to conduct workshops. She is constantly striving to better her craft. Portraits, whether human or animal, are her favorite subjects to paint. Suzi enjoys painting other subjects but when artists’ block strikes it is always the portrait or figure that gets her creative juices flowing again. Her painting style is realistic, and portraiture presents the challenges that make painting for her a joy. Suzi is proud to be a member of the Rochester Art Club, the New York Figure Study Guild and the Pastel Society of Western New York. She is currently the President of the historic Rochester Art Club and has been since 2012. Suzi has been an active Board member of the Rochester Art Club for many years. Suzi is thankful for her family’s endless support in her artistic endeavors —her husband, Gary; her children, Brett and Lindsay; her stepchildren, Kim and Jeff; and her mom, Barb. She is also grateful for her many artistic friends (practicing and non-practicing, and you know who you are!) and their continuous support, guidance, and inspiration. Perhaps her biggest inspiration comes from an eternal connection to her late brother, Les, and her aspirations to continue creating what he is no longer able to do.